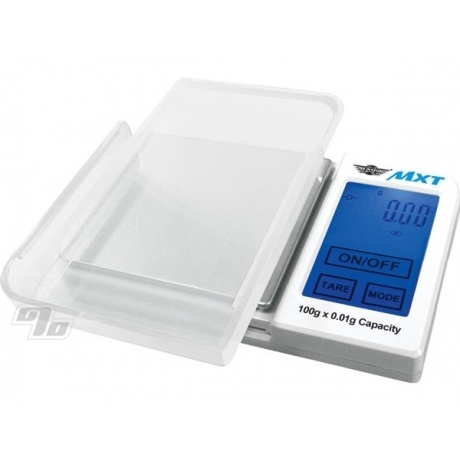 The My Weigh MXT 100 gram is a tiny, portable pocket scales: but don't let the size fool you - this tiny scale packs a big punch! This addition to the My Weigh family of scales is amazingly small (3.5"(W) x 2.3"(L) x 0.6"(H)), and operated by using the innovative touch-screen controls to weigh anything in Grams, Carats, Ounces & Grains. The Removable Protective Cover also doubles as an Expansion Tray & protects the scale when not in use, while the Stainless-Steel Platform is super-sleek. This scale has many features normally found in bigger scales, so if you're in the ballpark for a portable performer and on a budget, consider the MXT Series scales as one of your choices! 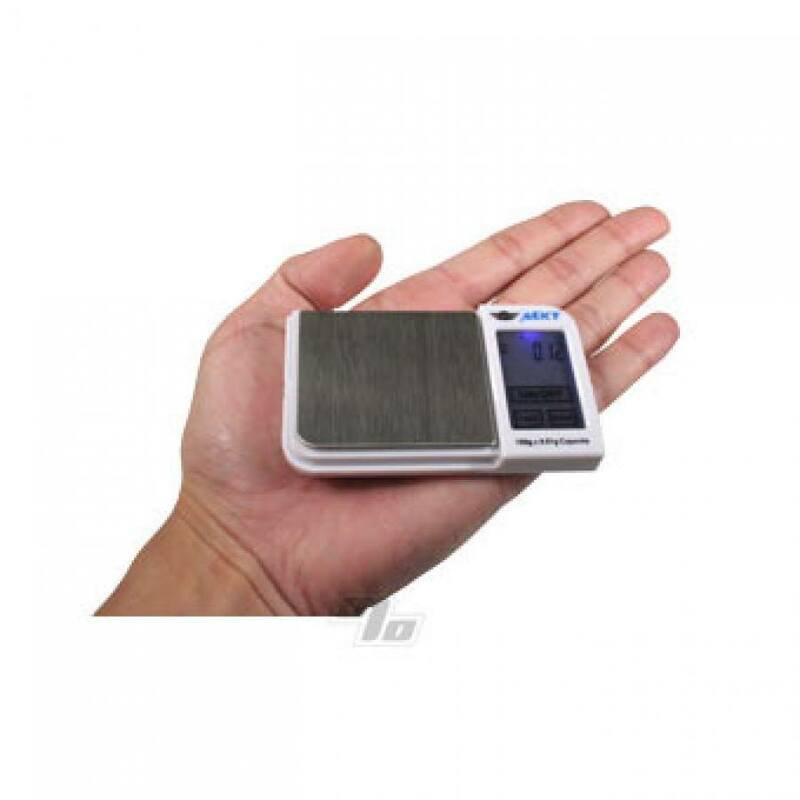 For your next (or first) mini digital pocket scale you should choose bullet proof My Weigh scale technology. Very happy with my purchase. My scale was accurate right out of the box. Easy to use and easy to set. Well made and discreet. I love this thing, its just the right size for measuring out your legal herbs to perfection. Its small but it aint tiny and it offers grams, oz, ct and grain this is a investment for any real hustler out there but this scale is small compared to what I purchased before but its definitely a household necessity. It's everything I wanted in a little teeny package. Great product, small and compact. Worked fantastic right out the box. The scale I ordered was not working when it arrived. I contacted 1%. They contacted the manufacturer and immediately arranged for another scale to be sent. I'm waiting for it to arrive. They did their best to resolve the issue A.S.A.P. I am very please with 1% and there effort to make things right. Scale works awesome! Don't hesitate if your going to be buying a new scale. You will never want another one! Bought this to get something out to the hundredths for accuracy. Love the size for portability.